Are alkaline water drops a health risk? Are alkaline water drops a health risk, or are they a health trend worth looking into? Where Can I Get Alkaline Water Drops? Alkaline drops are all over the market today, but before you drip the drops, take a look at what we uncovered. There are benefits to increasing the alkalinity of your body, but choosing the way that you do so is the most important consideration. Neutralizing the acidity in your body caused by acidic food and drinks. Alkaline drops do not produce high-quality alkaline water, and it is important to consider the risks and the long-term effectiveness of these products. 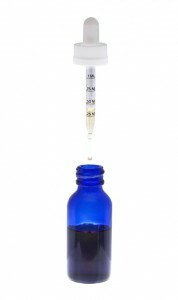 Although using alkaline drops does not pose a major health risk, they are not as beneficial as their manufacturers make them seem. Sure, the drops increase the alkalinity of your water, but what chemicals and toxins are in the water that you’re putting the drops into? If you’re using tap water for your alkaline drops, it is important to know that many chemicals have been found in tap water, including chlorine, chloramine, and fluoride. There is also an increase in pharmaceuticals found in tap water due to people not properly disposing of medication. Ionization is a key component of high-quality alkaline water, and alkaline water drops just fail when it comes to ionizing water. 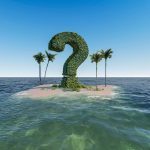 Ionization occurs when water runs across the electrolysis plates inside a water ionizer machine. The water then gets separated into alkaline water and acidic water. The resulting ionized alkaline water is packed with antioxidants. If you want alkaline water on the go, many companies offer portable alkalizers that make alkaline water with a filter instead of potentially harmful drops. The portable alkalizers help eliminate the waste made as a result of using throw-away bottles of drops. Portable alkalizers are great for temporary use, but they won’t give the full benefits of an electric water ionizer. 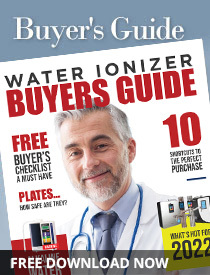 The tried-and-true best option is still to invest in a water ionizer machine. The best water ionizer machines on the market offer dual-filtration systems that produce pure, clean water. Many companies also sell pre-filters, which further remove harmful chemicals from your water. With an ionizer, you’ll know that your water is filtered and has the highest antioxidant potential fresh from the hose of the machine. In short, water ionizer machines are the best way to get ionized alkaline water.